This cost efficient project is a tenant improvement of an existing office building re-envisioned as a state of the art outpatient imaging center. 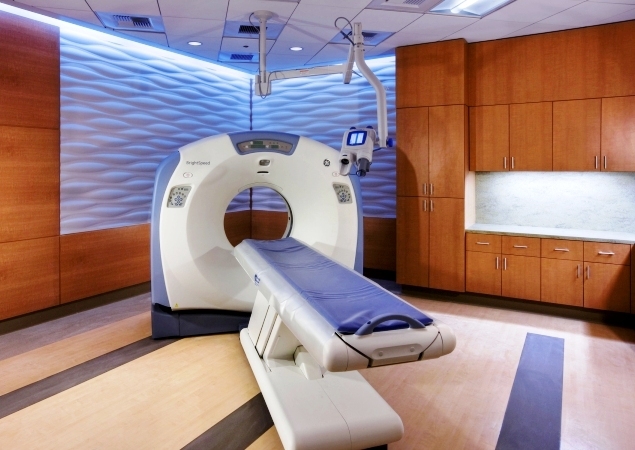 The challenge was to convert an industrial space into a high-end "hospitality" environment that encompasses the technology requirements of a diagnostic imaging center, yet offers a comfortable non-hospital atmosphere. Sustainability cost savings and efficiencies were achieved through careful selection of finishing materials and the choice to recycle an existing building. Building materials consumption and construction waste were minimized. The re-use approach also targeted broad savings in the project schedule and budget. 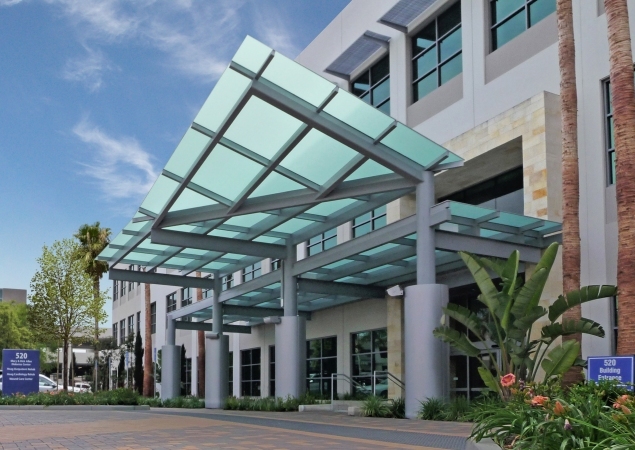 The client's goal was to separate outpatient services from the hospital buildings, offering more convenience and an appealing, soothing environment. The dedicated O.P. 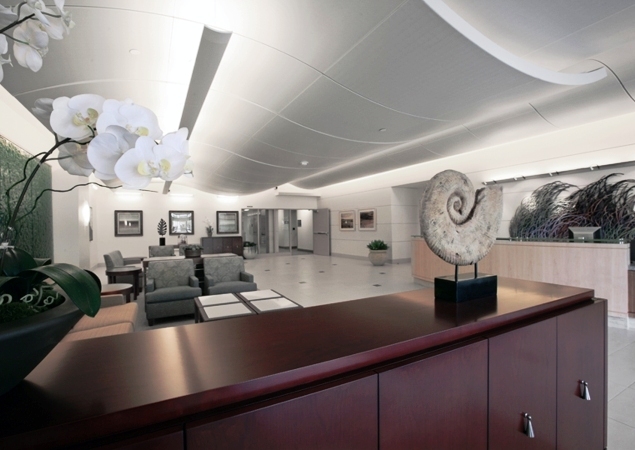 facility features calming interior design elements to alleviate anxiety associated with the lengthy testing procedures. The patient check-in and waiting are minimized with an efficient throughput scheme. 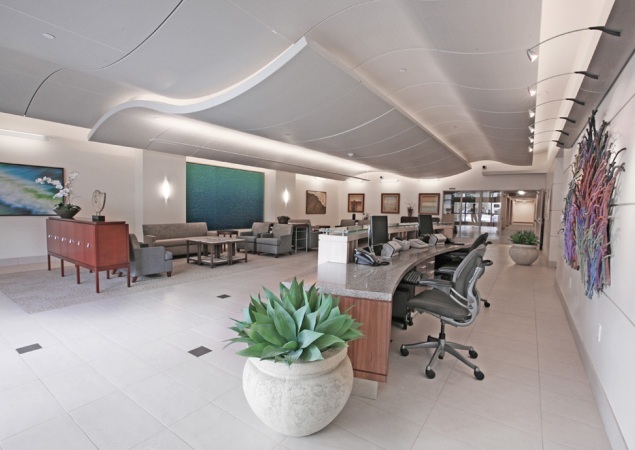 A hotel style lobby introduces the non-hospital "feel" the client strived for. 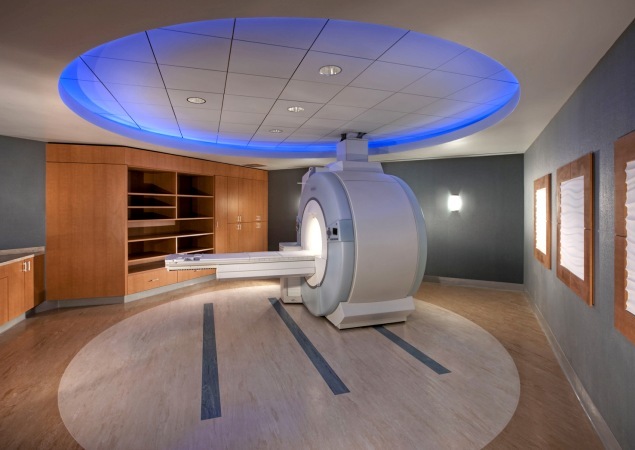 Warm wood detailing and soothing colors are carried throughout the corridors, MRI and CT Scan rooms.